Glenn Neely Articles | NEoWave, Inc.
Glenn Neely has been writing about Elliott Wave and NEoWave for over 30 years, resulting in innumerable commentaries and quotes in financial trade publications, radio, and TV. A selection of recent articles and interviews follows, authored by Mr. Neely and other financial commentators. 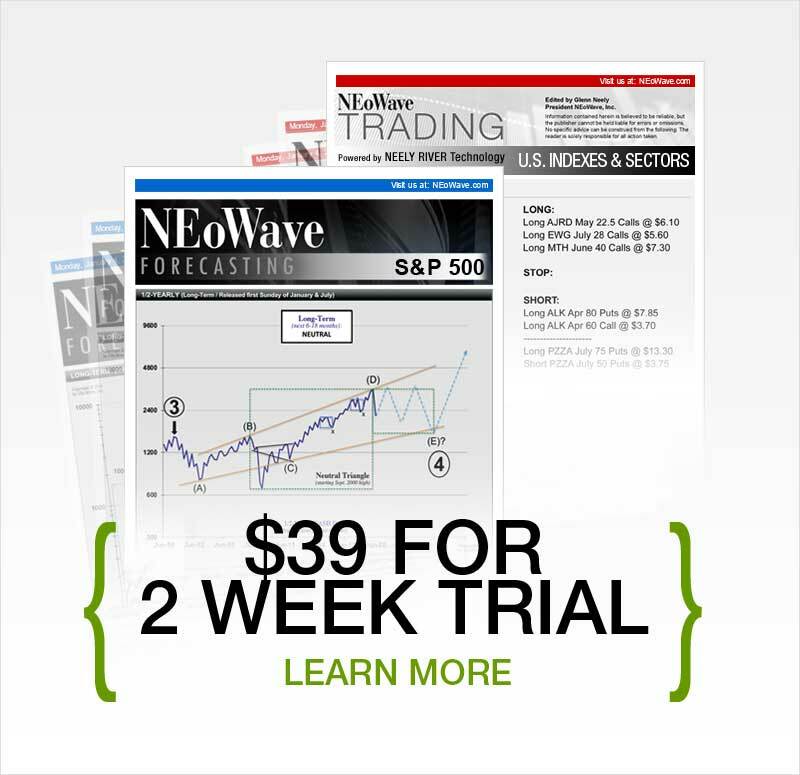 The following selected articles offer insight into NEoWave and Elliott Wave as well as forecasting and trading strategies related to market conditions, survival tactics, protecting capital, and more. The NEoWave team has dusted off a few memorable items from the archives. Enjoy! "Psych Surfers Ride Wave of the Future to Forecast Economy"
"O.C. Group Takes Unusual Route to Predicting Events"
"Using Psychology to Make Economic Predictions"